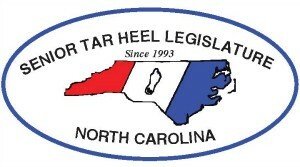 The purpose of the Senior Tar Heel Legislators (STHL) is to advise and inform the North Carolina General Assembly regarding issues impacting the lives of persons aged 60 and over in North Carolina. The dedicated delegates and alternates of the STHL work tirelessly to advocate for seniors to improve the quality of life. By establishing STHL priorities,we advocate throughout our counties and before the North Carolina General Assembly. Senior Tar Heels attend regional meetings and state Tar Heel meetings, become knowledgeable about needs of older adults in their respective counties, and advocate with local and state public officials on behalf of older adults. You must be over the age of 60 to be a delegate or alternate STHL. If you are interested in serving for your county, please contact Centralina Area Agency on Aging.